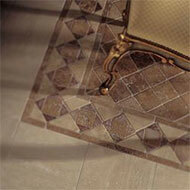 Specialty Flooring gathers the finest examples of natural stone's timeless elegance from around the world. View our incredible selections of Limestone, Travertine, Marble, Slate and Granite, in polished, honed and tumbled finishes. 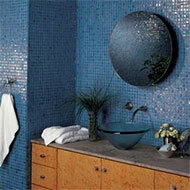 There's no doubt you will find the look that blends with your decor. Just as travertine, marble and other stones can be polished and honed, they can also be tumbled and distressed to look more aged. 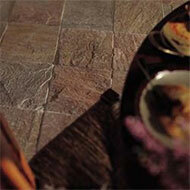 It's a modern recreation that captures the romantic look of stone from centuries past. A dense fine-grained metamorphic rock, slate was formed when ancient seabeds, filled with sediments of clay and shale, were pushed upwards by collisions between the continents. 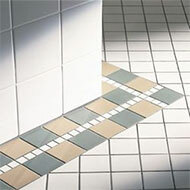 It is an extremely durable tile whose beautiful color variations indicate the presence of minerals such as iron oxide. 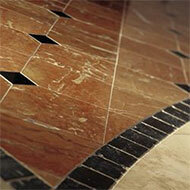 Prized for its distinctive variegated appearance, marble is metamorphic rock of crystallized limestone. Travertine is a variety of limestone that is created when heated aquifer waters rise to the surface and leave layers of mineral granules. Over time, these deposits cool and crystallize into travertine. 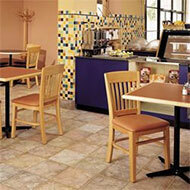 Limestone is a sedimentary rock formed by the accumulation of organic remains such as shells and coral. 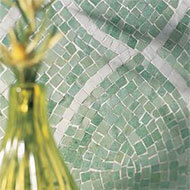 In the home, limestone turns floors, walls and counters into works of art. 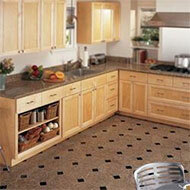 Granite is a course grained igneous rock found at the center of the earth. That's where granite crystallizes under extreme pressure. 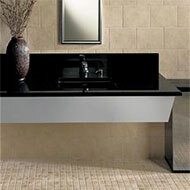 Like a diamond, granite is prized for its beauty.